Emeritus staff are not affected by recent parking eligibility changes! 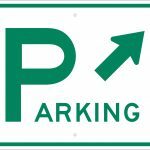 Effective April 1, 2019, the Rochester Parking and Campus Transportation Committee has approved changes to parking eligibility. These changes do not affect emeritus staff. The affected groups are: • Temporary research professionals — fellows, including senior fellows; associates, including senior associates; and visiting fellows • Staff in the “specified managers category” • Volunteers • Certain groups of allied health retirees Each of these groups is affected differently: • Temporary research professionals and staff in the “specified managers category” with a hire date of April 1 or later no longer are eligible to park in staff ramps downtown or on the Saint Marys campus. • Volunteers have been reassigned to the East and West shuttle lots. • Returning allied health retirees who are working less than 0.5 FTE have been reassigned to the East and West shuttle lots. 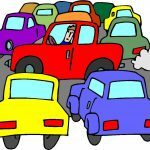 As a reminder, any staff can park in staff ramps or lots between 1:30 p.m. and 4:30 a.m. on weekdays and all day on weekends. In addition, parking eligibility for administrative staff hired on or after April 1 has been tightened. The changes were endorsed by the Midwest Executive Operations Team. Parking eligibility is not changing for staff hired or enrolled before April 1. Choir Country: an evening with Choral Arts Ensemble celebrating the great Minnesota choral tradition. (You can also find instructions in the right navigation column on the “Staying Connected Page” of the Emeriti Website but you have to be logged into the Mayo intranet to view). Sun, Apr 7 12:42pm · Quarterly Noon Luncheon - Correction! There was an error in the date listed in the Spring Emeritus Newsletter for the Quarterly Noon Luncheon. The correct date is April 17th as listed both on the RSVP mailing and on his website. Given a legacy of excellence and a vibrant modern culture of composers and singers, the Minnesota choral scene is the envy of the nation. Choral Arts Ensemble Artistic Director, Rick Kvam will talk about the Minnesota tradition, and will show video of several renowned Minnesota composers, including Dominick Argento, Libby Larsen, and Carol Barnett, talking about their work. You’ll hear a chamber ensemble from CAE perform some of these treasures, and sample recordings of their “greatest hits” will be played as well. $40 per person (includes program and dinner). $45 late registration payable at the door. 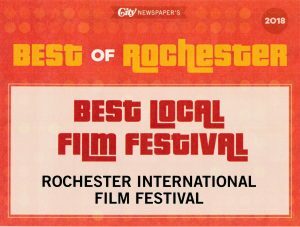 It’s time for Rochester’s 24th annual International Film Festival! It starts Friday, April 12 and runs through through Sat, April 20 at the Marcus Theatres. The website (http://www.rifg.org) has the schedule, descriptions and trailers of all 29 films. All seats are reserved. At the present moment only about half the films are on Marcus’ website because of some technical problems which we hope will soon be fixed. To buy tickets, you can go to the Rochester International Film Group’s website or the Marcus website. Call some friends and make a date to attend one or more films next week. Join us on April 11, 2019 as we travel through Vietnam gaining an appreciation of medical care through the eyes of James V Donadio Jr. MD, a retired nephrologist. Prior to his tenure at Mayo Clinic, Dr. Donadio was drafted into the US Army Medical Corps in 1966. He served in Vietnam for one year and completed his military commitment at the Walter Reed Army Medical Center in Washington, D.C., the following year. Program: Donadio was fresh out of his Mayo residency training in 1966 when he was drafted into the Vietnam War to supervise a renal ICU. When he left the US, he left behind a wife, and four children under the age of eight. Come hear about his time serving our country treating patients in the renal unit as well as patients in the local villages suffering from tropical diseases that were prevalent in SE Asia at the time. This event is sponsored by Learning is Forever (L.I.F.E)* and will be held at the Heintz Center, Rm HA112 on Monday, March 11, 10 am – noon. If you are a member of L.I.F.E. (annual membership fee-$25) the cost is $13; $21 for non-members. Members can register online at http://www.learningisforever.net. Non-members can call Chrisanne Pieper at 507-280-3157 for more information or to register. L.I.F.E is “A health club for the mind and soul”. Offered through Rochester Technical and Community College, L.I.F.E. offers a variety of classes and cultural trips that allows older adults to explore new or dormant interests.